With Glenn's last day as manager, does Amy have a chance to get the position; even when she has leverage? Here's a recap! After making many farewell announcement, Glenn gives his last staff meeting before stepping down and hopes that Amy would take his job. But that's not his choice to make as it's Laurie. As she makes her appearance, Amy confronts her about the position, but she won't give Amy a shot for an interviewer. With help from Dina, Amy got an interview, but it wasn't going anywhere. Laurie announced that she'd given Glenn's position to her son. As Amy tries to go back and talk to Laurie, she interrupts her snorting cocaine. Laurie tries to keep Amy entirely of the situation by offering her Glenn's job, but she turned it down because she only wants it if she's qualified. That turned up nothing. So after everyone knows about the situation, they get Amy to go back and to use that leverage. She finally got it. Meanwhile, while Glenn cleans his office with Mateo and Jonah, they found a bag of money that Glenn has kept for budget reasons. Jonah tells him that keeping this is a crime and they try to find a way to use it; damaging the store. After destroying the bathroom, fitting room and storage room, it still wasn't enough. That is until Glenn drives his car in the store. "Minor Crimes" was another excellent episode. 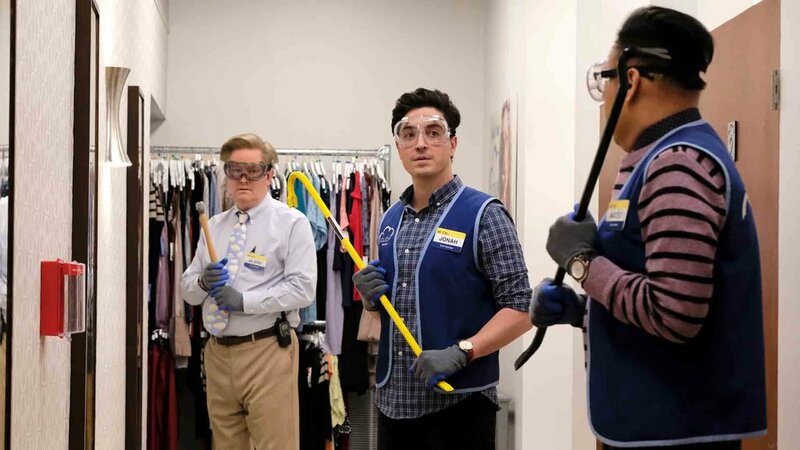 The Glenn storyline in this episode was just amazingly hilarious; from his goodbye speech to the customers, learn that keeping money from the bosses is a crime and had to use that money by causing damage to the store. As much as I loved and enjoyed Amy's story; I did think that it was a bit downplay-ish when it comes to Amy not using the leverage to get Glenn's job. But the scenes with Amy and Dina were as priceless as it could have ever been in this episode. Good writing and very good performances from the cast. Overall, I give this episode an 8.5/10.